Honey mustard sauce is perfectly paired with baked ham. Not overly sweet, and packed with flavor, it takes a plain ham to a whole new level. I first tried a similar honey mustard sauce after the birth of my son, Scotty, who is currently 20 years old. We were new attendees at our church when he was born. The ladies at church, who I barely knew, dropped off meals for two weeks when they found out I’d given birth. One of the ladies brought over a baked ham with a side of honey mustard sauce. It was so good, I begged her for the recipe. Over the years, I’ve made many changes to the honey mustard sauce, and I’ve finally settled on this version. What is Honey Mustard Sauce Made of? 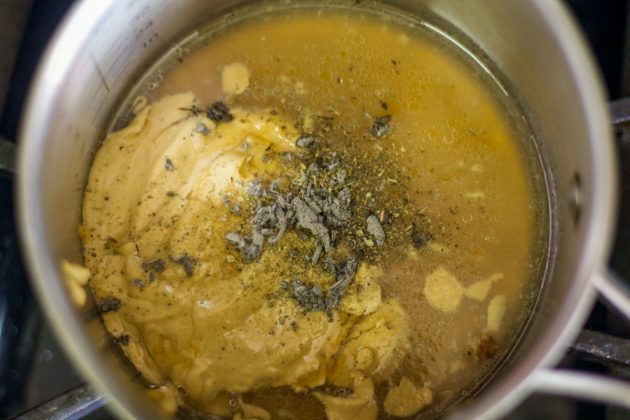 Honey mustard Sauce has a few ingredients that are always present. But there are other ingredients that are interchangeable. Let’s take a look at some of these ingredients. 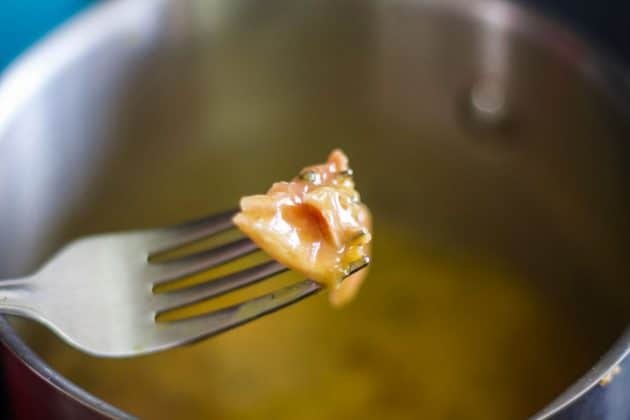 Although I’ve found using 1/4 cup of the pan juices enhances the flavor of the mustard sauce, feel free to substitute the pan juices with mayonnaise. Or use olive oil for a healthier alternative. You can also experiment with adding different herbs or spices. Although this recipe is called “Honey Mustard Sauce for Ham,” there are many other ways to enjoy this recipe. One obvious way is to serve it as a dipping sauce with chicken nuggets. But don’t stop there; consider these other options. For other great sauce recipes, check out the following posts: Dill Dip for Veggies, Tahini Sauce, Home-made Enchilada Sauce, and Cherry Sauce Reduction. 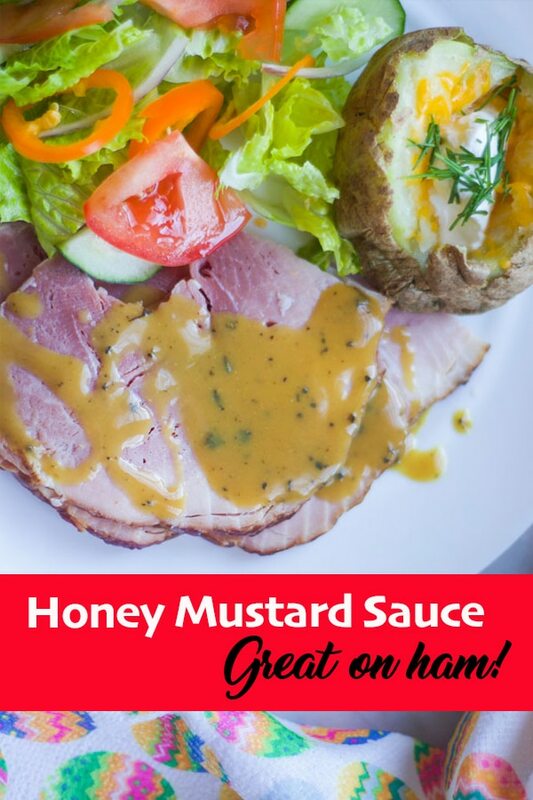 Deliciously sweet and tangy honey mustard sauce for ham, seafood, and more! Add 1/4 cup of baked ham pan juices to a small saucepan. Or substitute pan juices with olive oil. Mix in the remaining mustard sauce ingredients. Whisk over low heat until it begins to boil, then remove from heat. Serve mustard sauce with the ham. Or use as a dipping sauce for seafood or chicken. Nutrition calculations were done using 1/4 cup olive oil (instead of pan juices).